Zoot Sports is 100% focused on providing the athlete with the ultimate in performance apparel, wetsuit, footwear and accessories. For 25 years, we have been pioneering innovative product solutions that cover the athlete from start to finish and head to toe. Zoot continues to draw on its history in the sport and its athletes to deliver the most comprehensive, technologically-advanced and complete multisport product line in the world. Founded in 1983 in Kona, Hawaii, the home of the Ironman Triathlon World Championships, Zoot Sports began making performance apparel that catered to elite athletes competing in the emerging sport of Triathlon. A woman by the name of Christal Nylin, who lived in Kona, noticed that the athletes competing in Ironman needed something more functional to race in. In other words, a solution to avoid having to use transition as "changing areas," and to no surprise, the same principle we strive by today: to find product solutions for multisport athletes. Zoot has grown to be a global premier endurance sports brand, distributed across 22 countries and has introduced the first Triathlon-Specific Footwear Line. We continue to listen to our athletes and make no compromises to deliver the most premium multisport. Experience a lightweight ride that's smooth and responsive with the Laguna. This reliable trainer provides guidance for those need it with the geometry that's built into the midsole. The internal fit provides a plush sock-like feel while the internal reinforcement system provides mild-foot support by locking your foot in place. A lightweight but supportive outsole combining interlocking parts of Z-Bound+ and ZVA with constant ground contact and an internal medial support to gently guide you and create smooth long lasting cushioning. 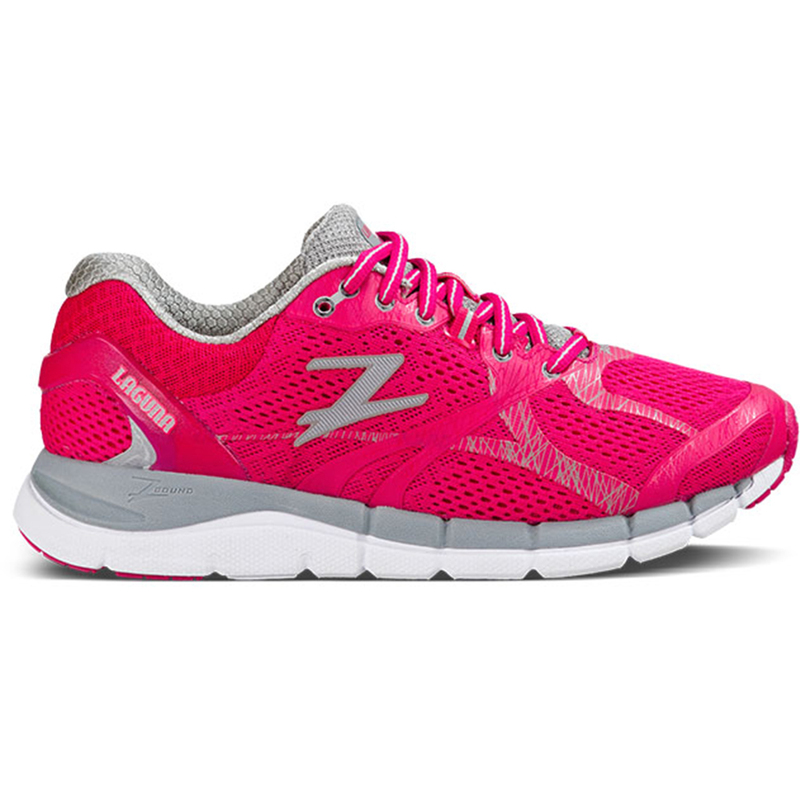 From daily running to race day, you've found your new running partner with the Laguna. Upper: Light weight breathable mesh with seamless no-sew upper with internal reinforcement creates great fit and support without adding weight. BareFit™ internal liner for a sock like feel. Midsole and Outsole: A lightweight but supportive outsole combining interlocking parts of Z-Bound+ and ZVA with constant ground contact and an internal medial support to gently guide you and create smooth long lasting cushioning. Minimal Carbon Rubber pods for added traction in the heel and toe. The internal construction of Barefit technology puts Zoot’s seamless and Dri-Lex technologies closest to the skin for exceptional internal feel and long distance comfort. Seamless internal fit to eliminate blister contact points. Less weight, better cushioning. Over the long haul, the super-light proprietary Z-Bound midsole rebounds a runner’s energy, reducing stress and fatigue. ZBR - Zoot Blown Rubber is our custom blown rubber that will give your footwear extended wear time.